This week we have been looking at feelings and emotions. 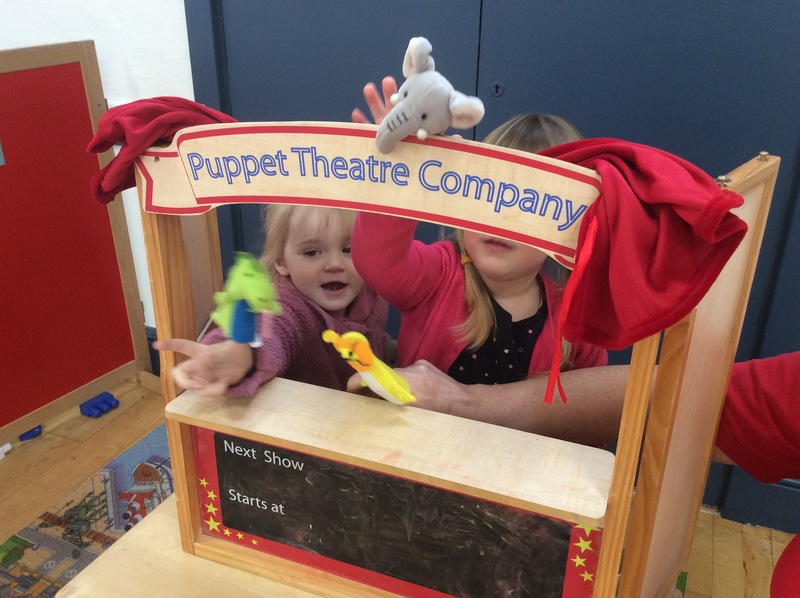 We have a new member of preschool, Dotty (a puppet). 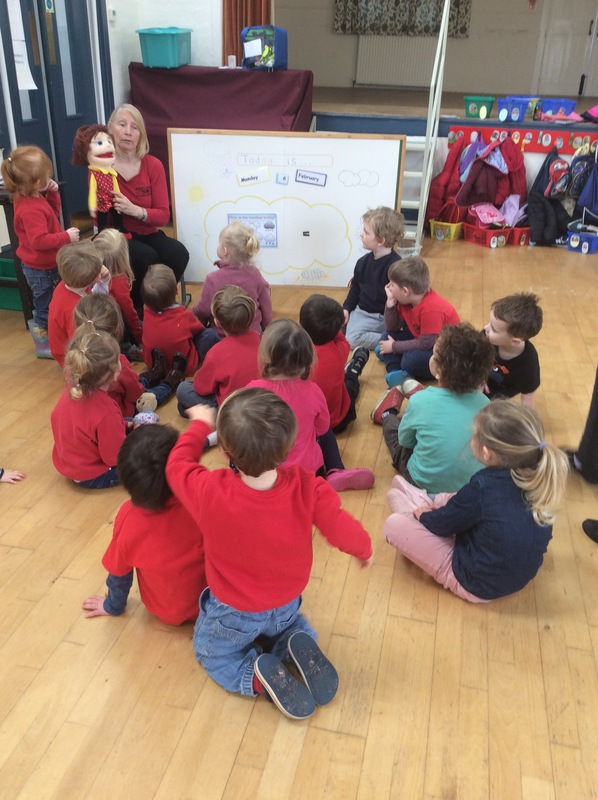 The children have been talking to her, taking her around preschool to meet everyone and listening as Jane explained how Dotty arrived at our preschool. The children have created paper faces today using the paints, carefully creating either their own faces or someone they know. 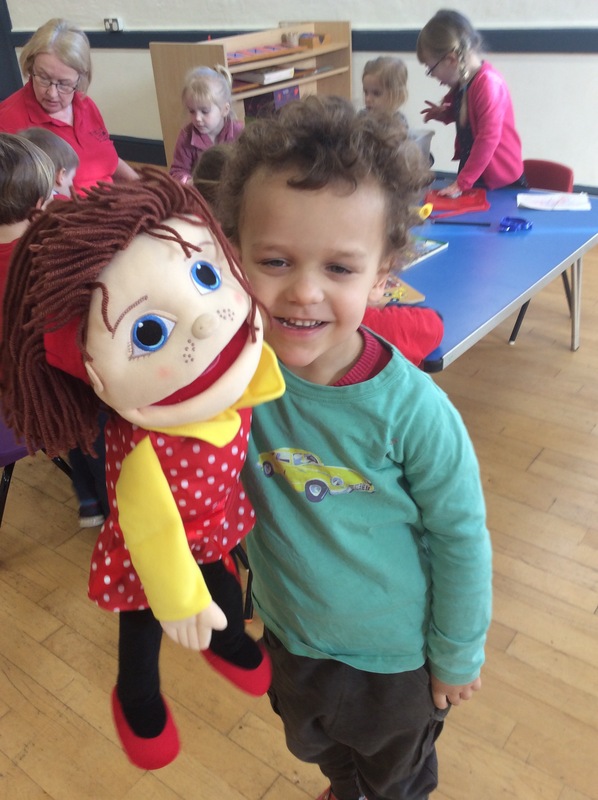 At circle time Issy has been using our new emotion cards with pictures showing different emotions. 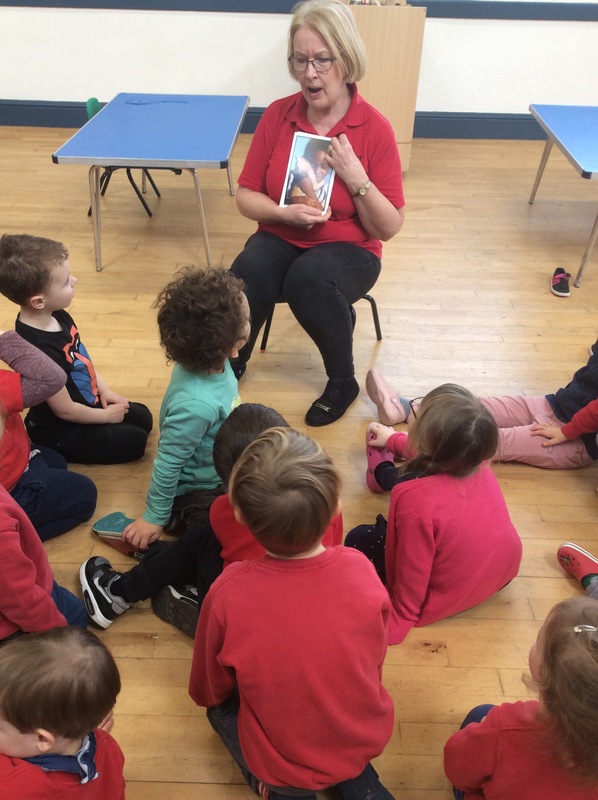 The children have been discussing how they think the child in the picture is feeling. 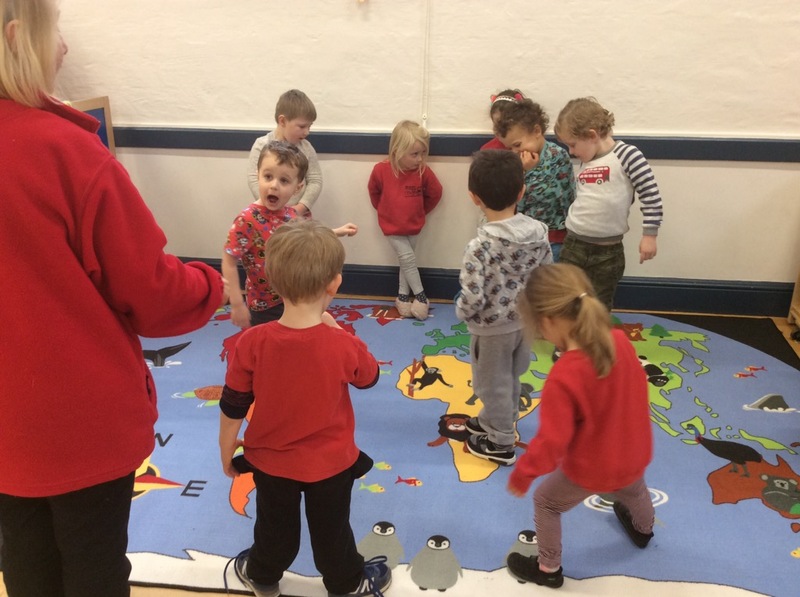 We have had a delivery of new resources to preschool which included a large world map mat and individual letter mats. The small letter mats were perfect for some letter recognition games at circle time today. 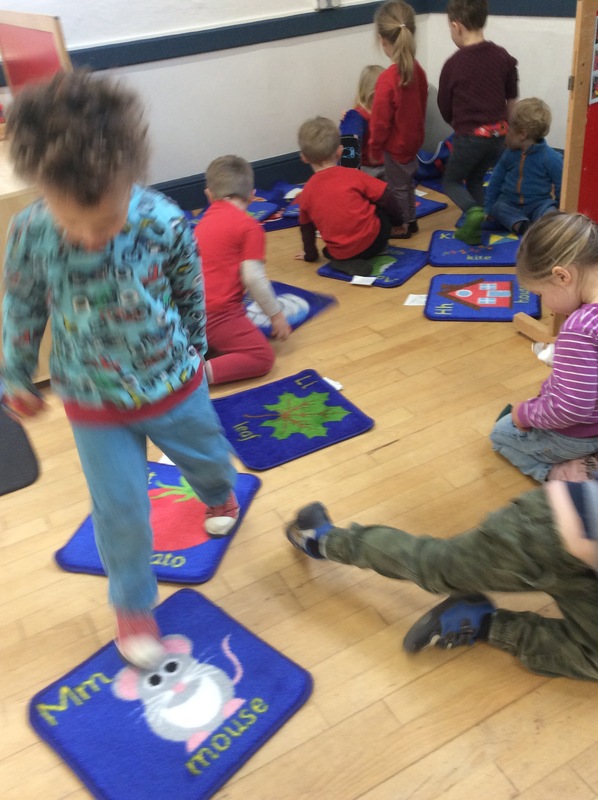 The children took it in turns to hold up the mats they were sitting on, we all talked about the letter and things we could think of which started with that letter. 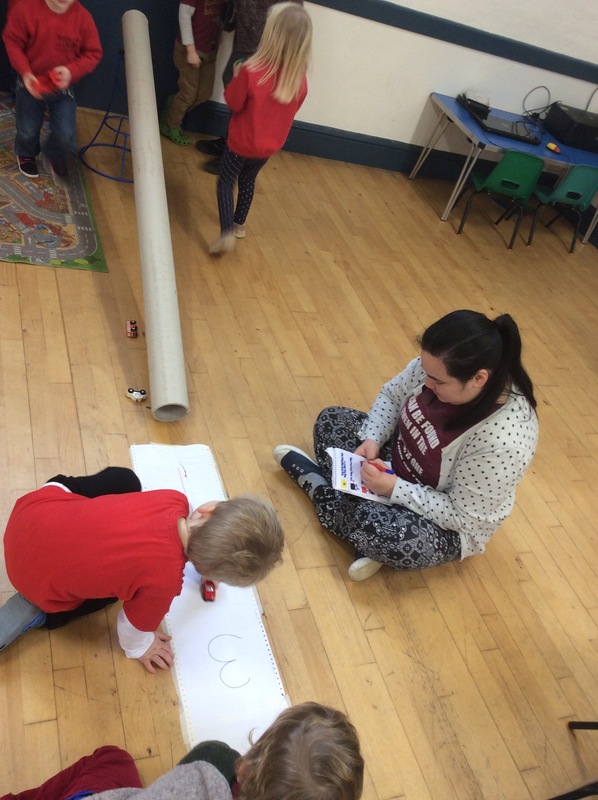 This week we have also created a tube tunnel to shoot cars down. 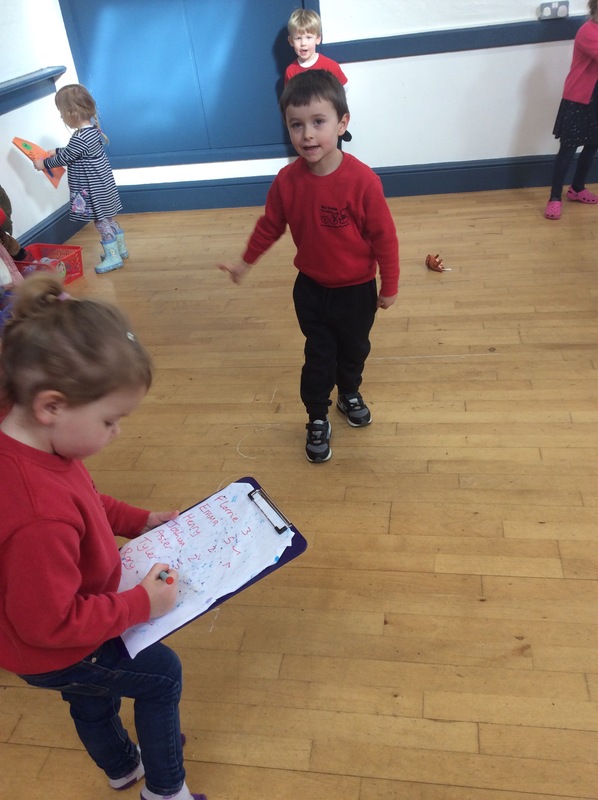 The children could see which number their car had reached, and Tara was keeping note of the scores. The children also took part in a jumping game yesterday. 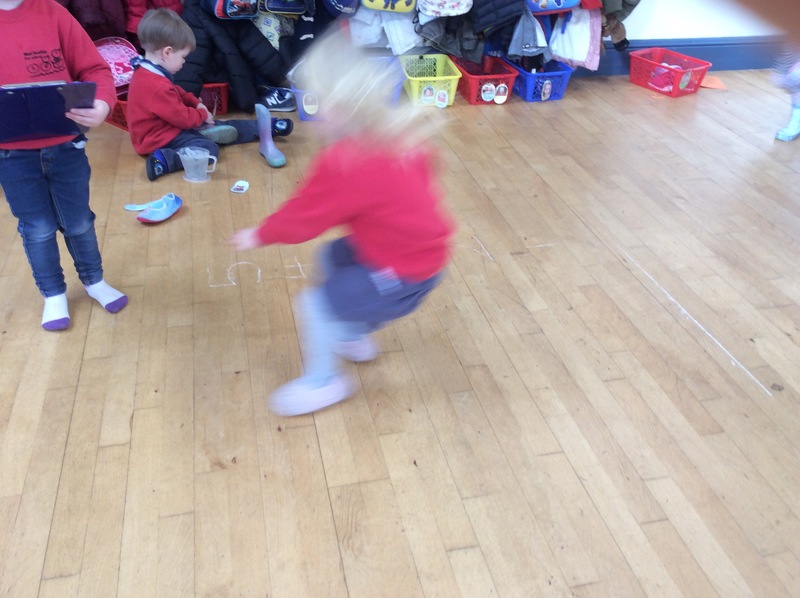 Jane chalked numbers onto the floor and some of the children took turns to see how far they could jump.